Snow melt is a product that to start with was exclusive to the flagship Oxford street store. But is now also avalible to purchase online. This is a very small but very cute looking product. 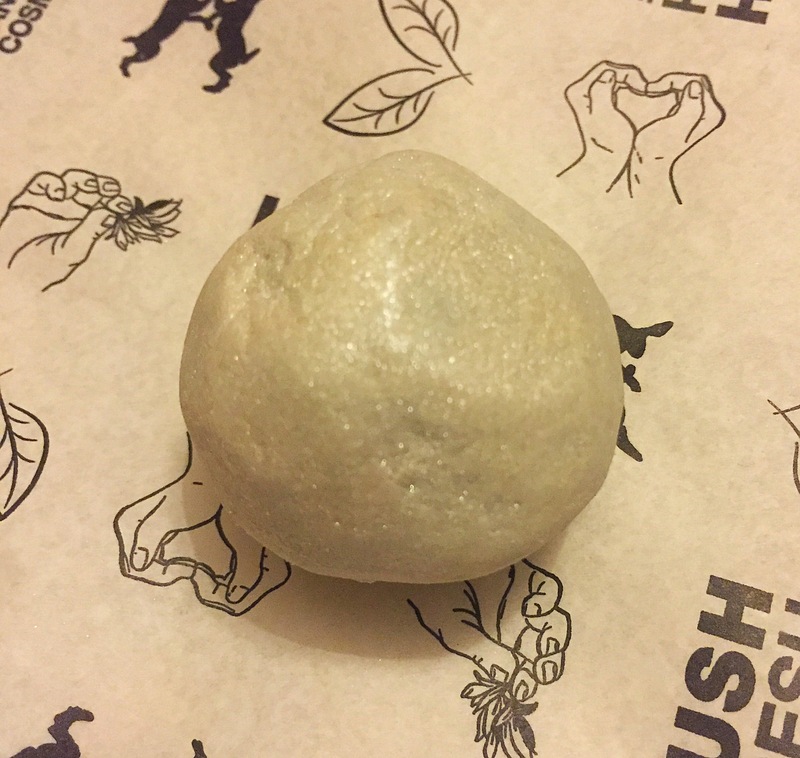 Bath oils are quite new to lush, first being released with the opening of the new Oxford street store this year. They are basically little balls of goodness. 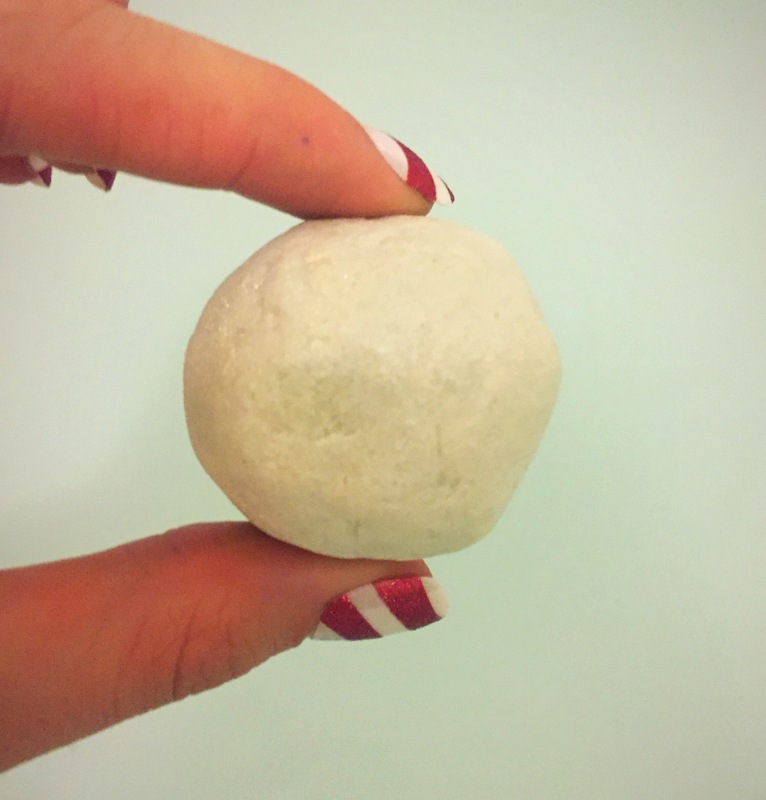 Featuring cocoa butter and lots and lots of luxurious oils this little product produces one exstrenly moisturising bath time. The snow melt bath oil isn’t bright and colourful like the other bath oils available. 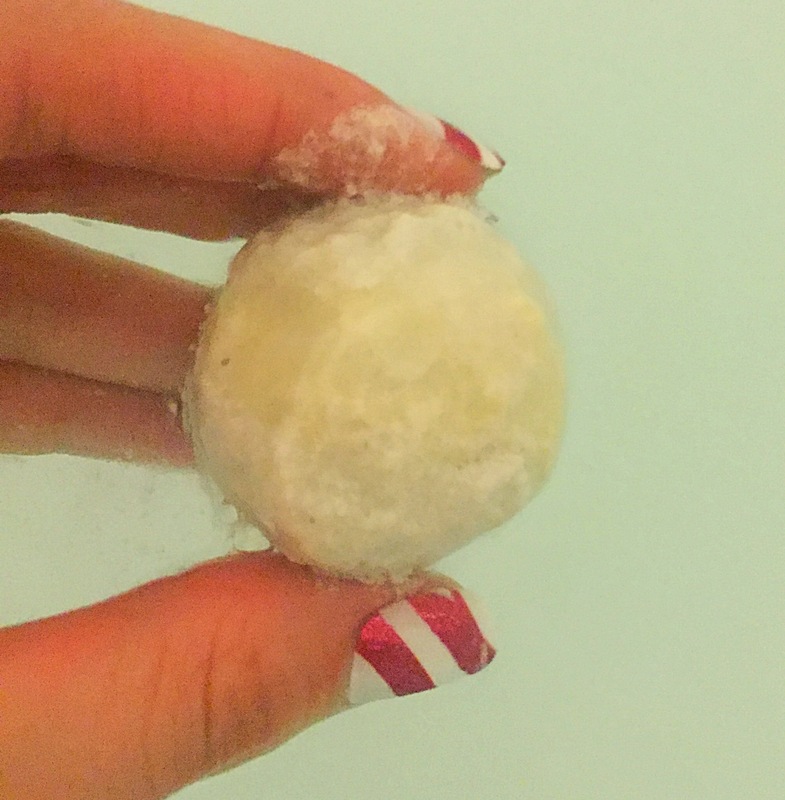 It does however look like a little miniture snow ball with a good helping of glitter. Unfortunately I am not a huge fan of the scent of this bath oil. It isn’t very often that I don’t like the smell of a lush product but every now and then one pops up that I’m just not very keen on! However I thought I would still give it a go on the off chance I changed my mind. Snow melt has a very strong minty scent. With one of its main ingredients being peppermint oil i found that it was just a little bit to over powering. It is however a very fresh and cooling scent and I sure many would in fact find it very uplifting and invigorating. I was also a little disappointed to find that once this bath oil was poped in the water it sank. Bath oils don’t really put on much of a show but it is nice to see them bobbing along the top of the water. My exsperience from using other bath oils is the water does need to be quite hot other wise it takes forever for them to fully dissolve. I suppose you could pop it in before you get in the bath so that it has already began to melt. But I’m a little to impatient for that. 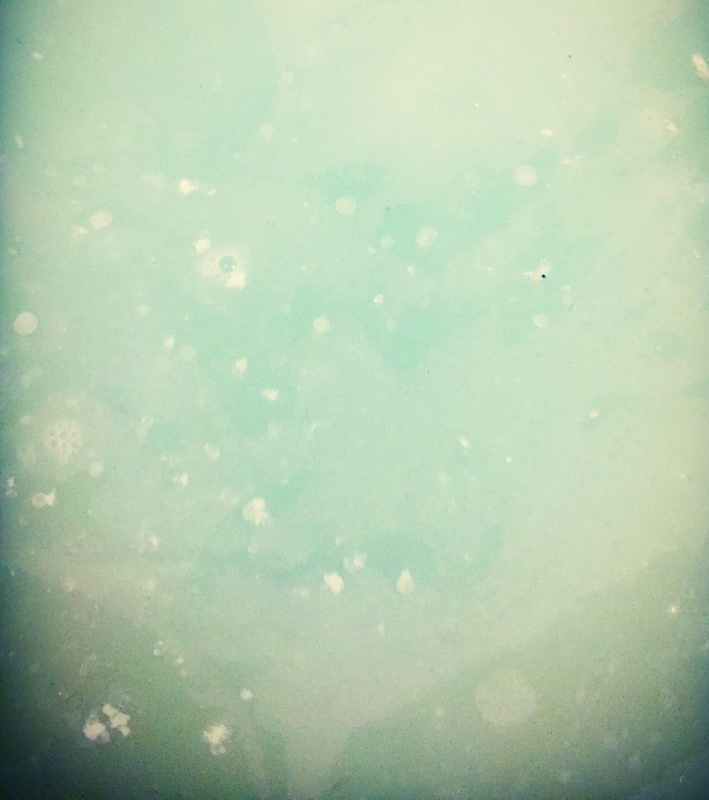 Once the bath oil starts to melt it creates a layer of butters and oils across the surface of the water. I did like how the snow melt turned to water a lovely milky white and the glitter added a lovey shimmer to the surface of the water. Another thing I do love about the snow melt bath oil is that it is super moisturing! It leaves your skin feeling silky soft. Overall I am not a huge fan of this product but that is only due to my personal scent taste. However I love everything else from its look to its super mouisuring qualities and I am also a fan of it very purse friendly price. Ingredients – Organic Shea Butter (Butyrospermum parkii), Fair Trade Organic Cocoa Butter (Theobroma cacao), Cream Of Tartar (Potassium bitartrate), Citric Acid, Laureth 4, PEG-6 Caprylic / Capric Glycerides & PEG-60 Almond Glycerides, Sodium Laureth Sulfate, Organic Illipe Butter (Shorea stenoptera), Perfume, Sicillian Lemon Oil (Citrus limonum), Extra Virgin Coconut Oil (Cocos nucifera), Organic Jojoba Oil (Simmondsia chinensis), Olibanum Oil (Boswellia carterii), Peppermint Oil (Mentha piperita), Carrageenan Extract (Chondrus crispus), Lauryl Betaine, Snowflake Lustre; Pearl White Lustre; Silver Glimmer Lustre (Potassium Aluminium Silicate, Corn Starch, Maltodextrin, Titanium Dioxide, Mica, Colour 77400), Benzyl Silicylate, Lilial, Citral, Geraniol, Limonene, Linalool.